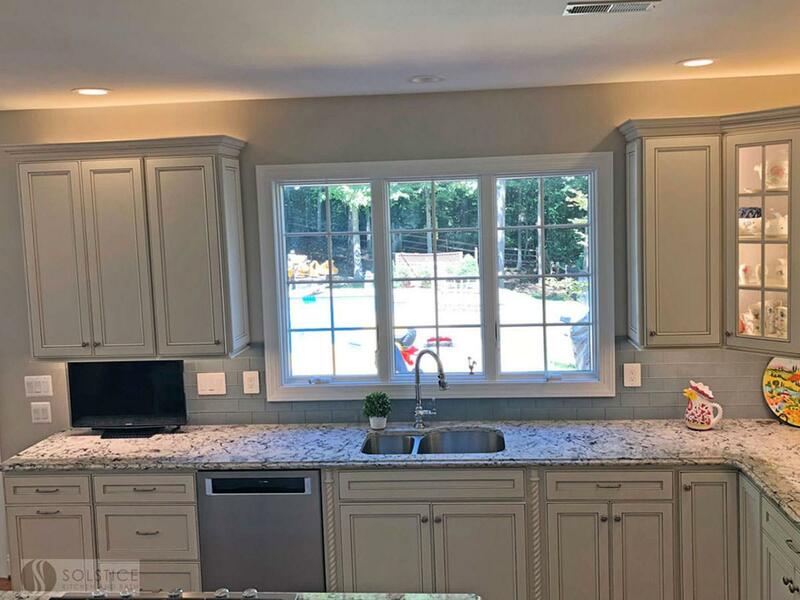 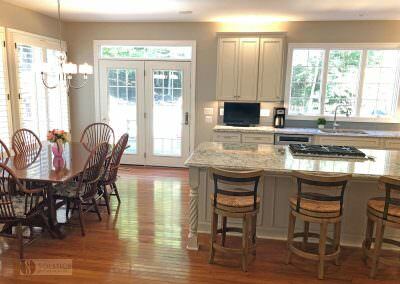 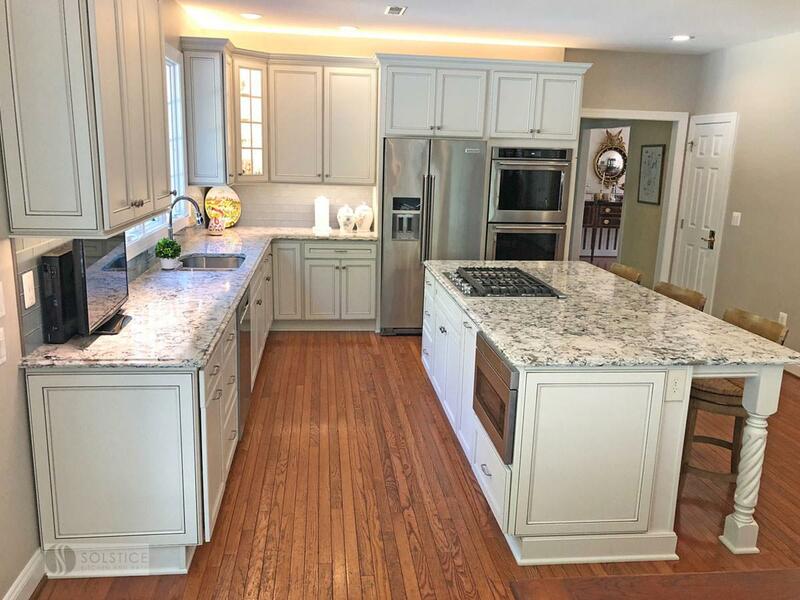 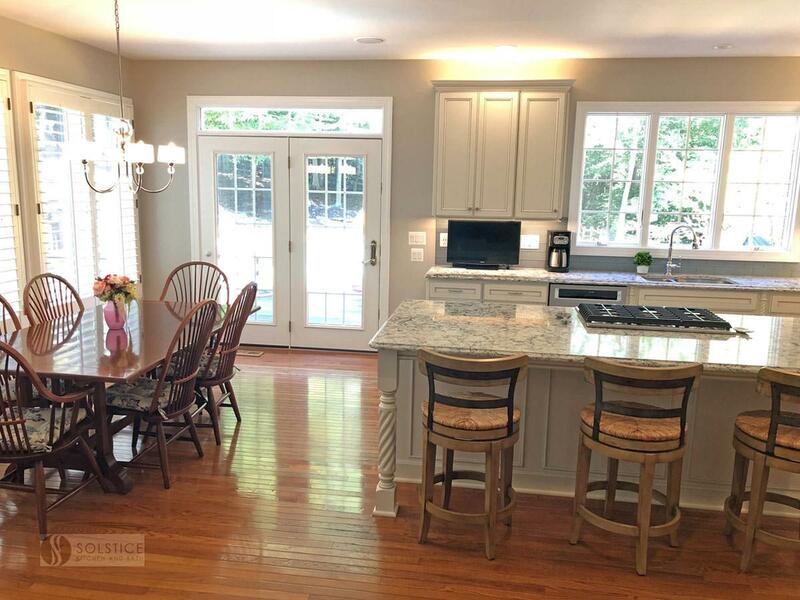 This kitchen design in Crownsville brings the beautiful details of a traditional style to a bright, open plan space. 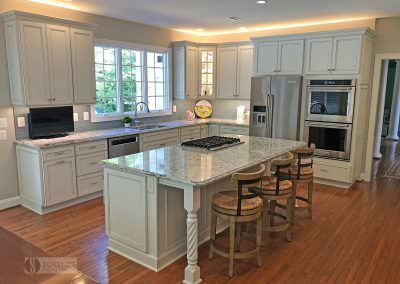 Layout, design details, appliances, and storage all work together to create a functional and stylish kitchen design at the heart of this family home. 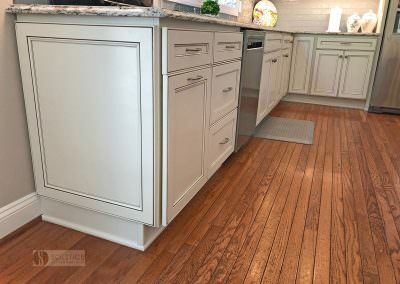 The HomeCrest by MasterBrand Cabinets are Eastport maple in French Vanilla Brownstone. 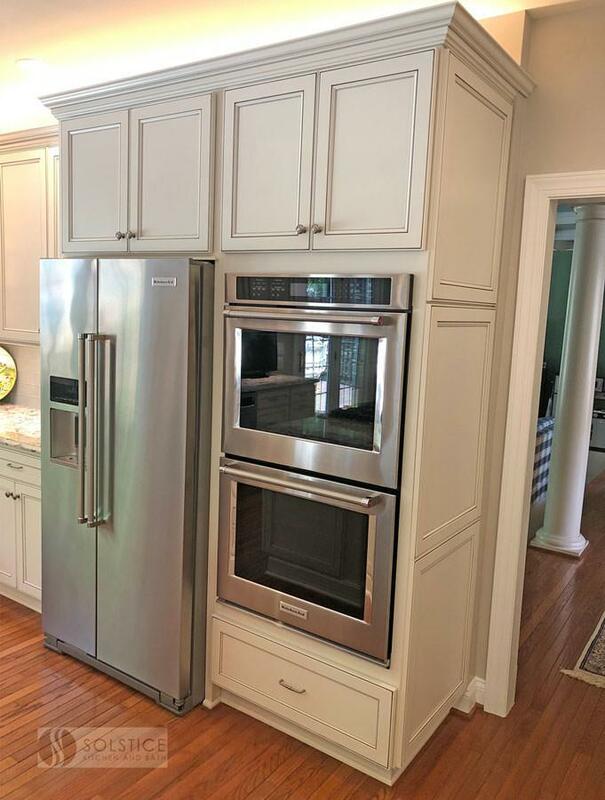 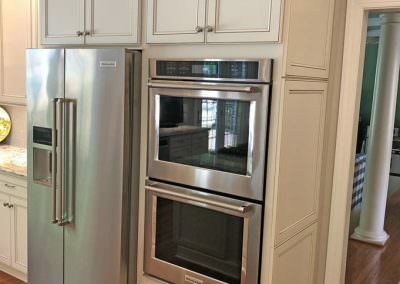 The cabinetry offers plenty of storage for a busy kitchen like tray dividers above the refrigerator. 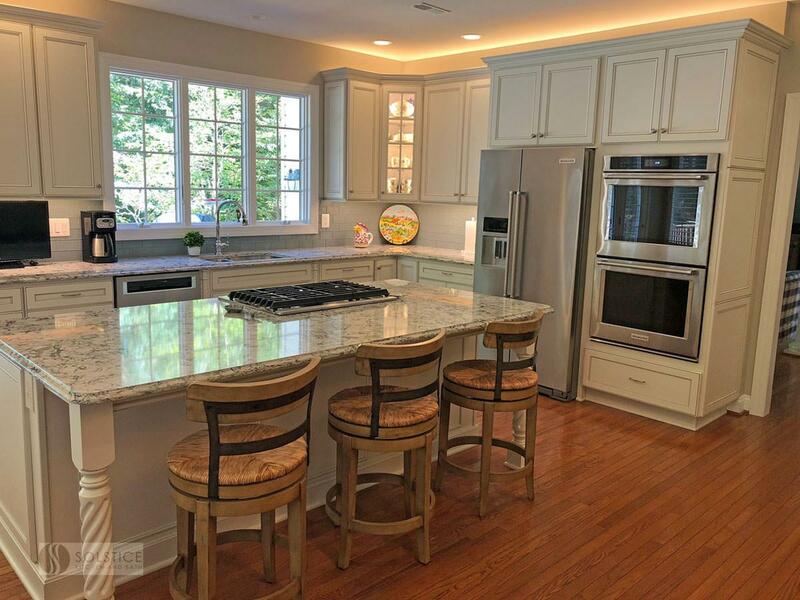 A corner glass front cabinet with in-cabinet lighting is ideal for displaying glassware. 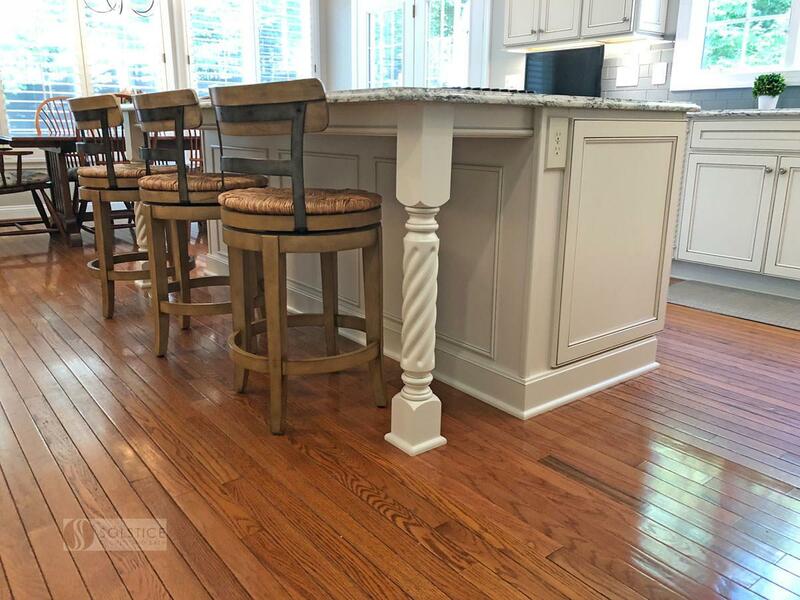 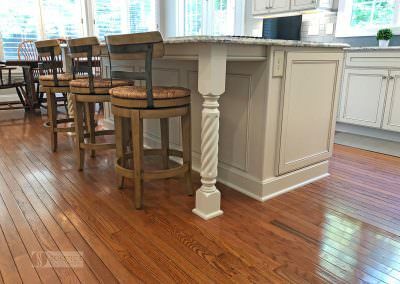 Decora rope spindles by the sink mirror the tables legs on the island eating area. 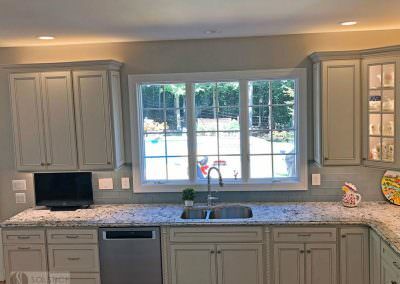 The kitchen cabinets are offset by a Cambria quartz countertop in Praa Sands and Sage Cristallo glass subway tile backsplash. 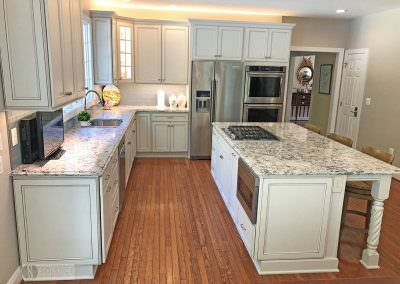 The large island includes seating and a cooking area with a cooktop and undercounter microwave. 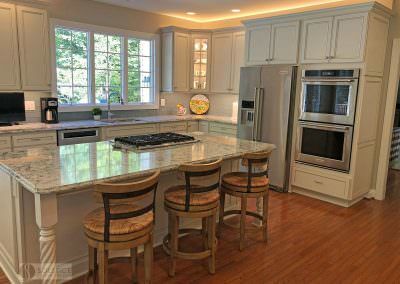 A beverage bar incorporates an undercounter refrigerator, wine rack, glass front cabinets, and wine glass storage. 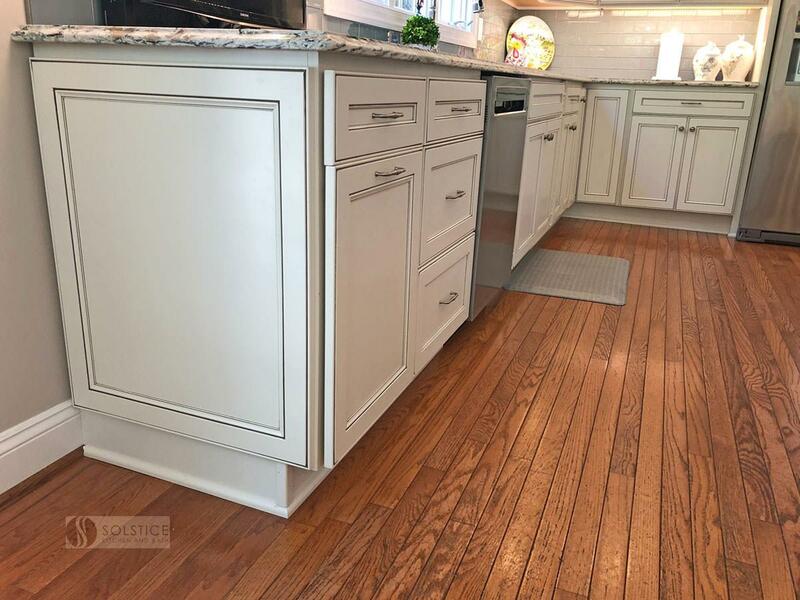 Bruce hardwood flooring adds warmth to the kitchen with Charisma white ceramic tile flooring the perfect durable choice for the adjacent laundry room.